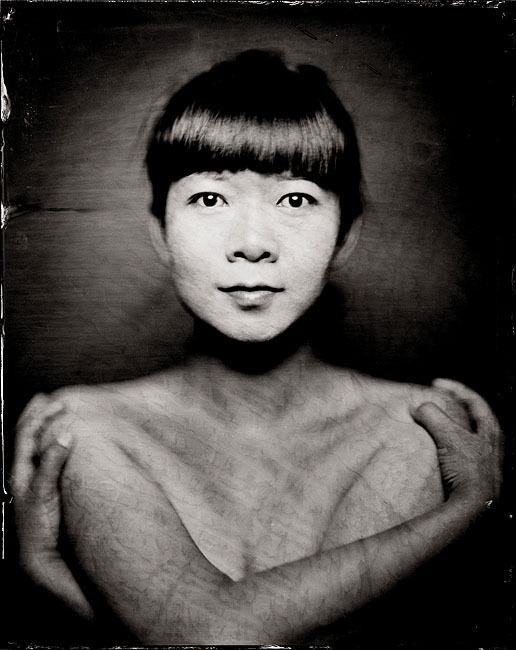 Di Jinjun’s 邸晋军 (born in 1978 in Shanxi province) artworks appear at odds with today’s digital age for he carries on developing the wet collodion process: a technique that was invented in the 19th century. With Dress for ritual the artist lays bare femininity. He creates the fantasy of Chinese women by portraying a beautiful lady wearing the traditional "qipao" (Chinese term meaning the long dress very popular in the 1930s), or contemporary dresses, or nothing at all. His photographs leave us mute in face of the intensity of this women’s gaze, while allowing us to apprehend the delicacy and the sensuality of her face. 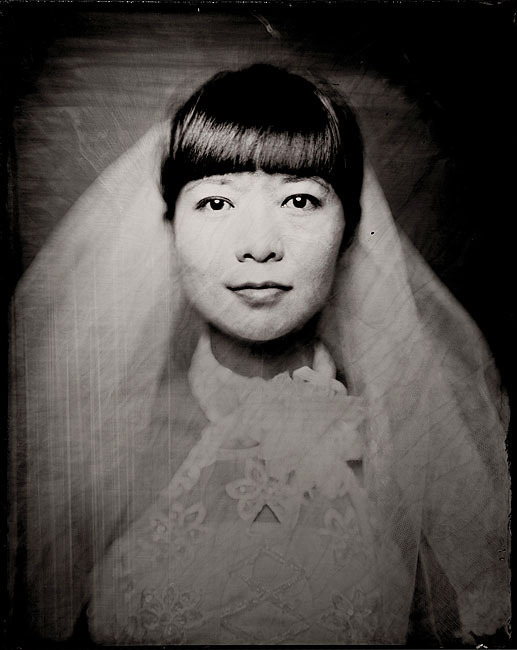 Such staged photographs might recall early photographic portraits made by professional studios during in the 19th century, which themselves proceeded from a long history in China of ritual paintings representing ancestors. 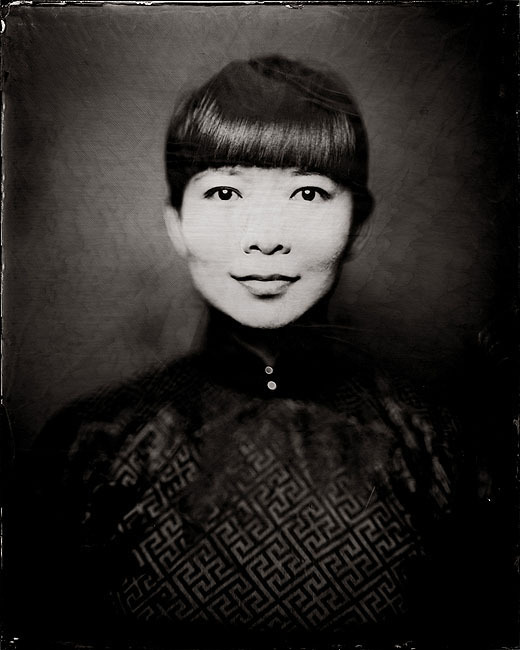 Di Jinjun has cultivated this spatial-temporal paradox through other series – such as Youth and Sophists – in which the Chinese young generation is depicted again through an age-old photographic technique.